I am having a #TBT moment. 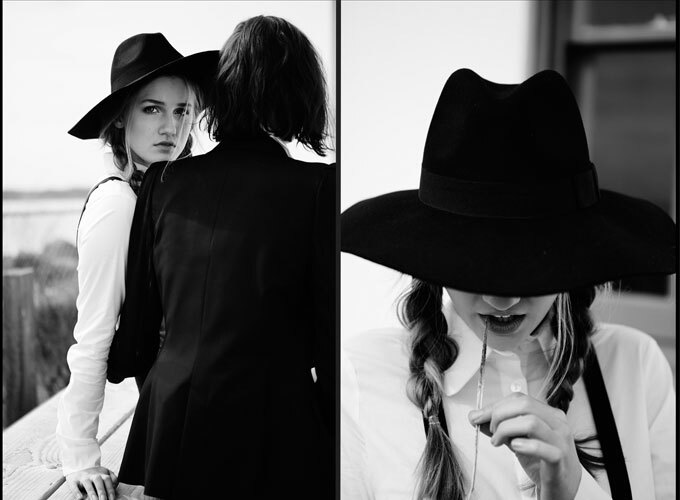 I was going threw old photos and discovered this Amish inspired fashion editorial I styled. This was a pretty fun day shooting, especially because the weather was nice. I tried to stay true to the amish influence of simpliness, but at the same time update the looks with modern influence. I learned that this was going to be shot in black & white on the day of. I wish you could see the color palette of this dress. It was black and white with dull browns and greens. It fit perfectly with my Amish fashion story. I asked the photographer months, ok maybe almost 2 years later if I could have this image in color but I missed my window. I made sure to style the models in matching shoes, and white collared shirts to really embody how the Amish dress. I was quite surprised how many stlyish white collared button up shirts I found, with different collars and feminine touches. It reminded me how classic and stylish a crisp white shirt can be. I purchased the Amish bonnets off of eBay. The location seemed perfect for this Amish inspired fashion editorial. We were by the water, a lighthouse, water, old homes. The only big thing we were missing were a horse & carriage or maybe some farm animals. I have never been to Amish country so in all honestly I have no idea what was missing. Special thanks to my girl Terri Fender who helped me on this shoot. I would of not been able to handle all these wardrobe changes in such a little time frame without her. How much do fashion stylists make annually?